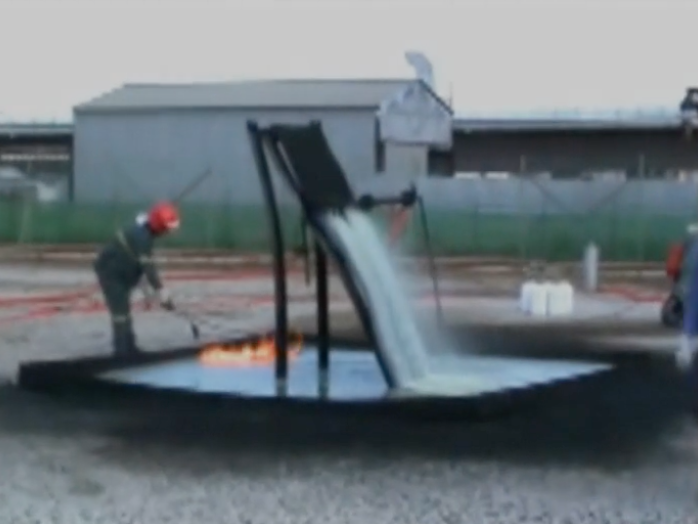 This excellent video shows a demonstration at a refinery in Italy of a typical three-dimensional flowing liquid fuel fire. Foam could not build a blanket to smother this fire. F-500 Encapsulator Agent rapidly cools the fuel and structure. Remove the heat; remove the fire. F-500 EA encapsulates the fuel, rendering it nonflammable and it interrupts the free radical chain reaction, removing the black smoke and 98% of the carcinogenic toxins. Watch F-500 Encapsulator Agent extinguish this difficult three-dimensional, Class B fire in seconds. If we can help you with any questions about F-500 Encapsulator Agent, Pinnacle foam or HCT’s portable delivery equipment, please don’t hesitate to call.